During my recent visit back home to the Kansas City area, I had the pleasure of catching up with two of my longest-time friends. The three of us have been pals since we were in junior high, surviving the torment of puberty and braces, torturous school bus rides, and 1980s Aqua Net-crusted hair and linebacker-width shoulder pads together. After I returned from my trip, one of those friends sent me a text with photos of a treasure she found in her recent move. 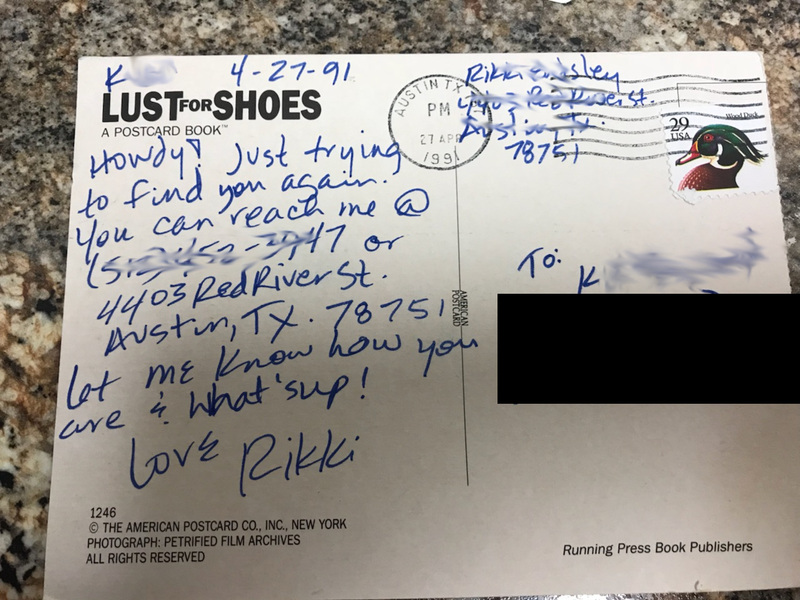 She’d unearthed a postcard I sent her in 1991. I’d forgotten that we did lose touch for a while after high school graduation. But eventually, I tracked her down. 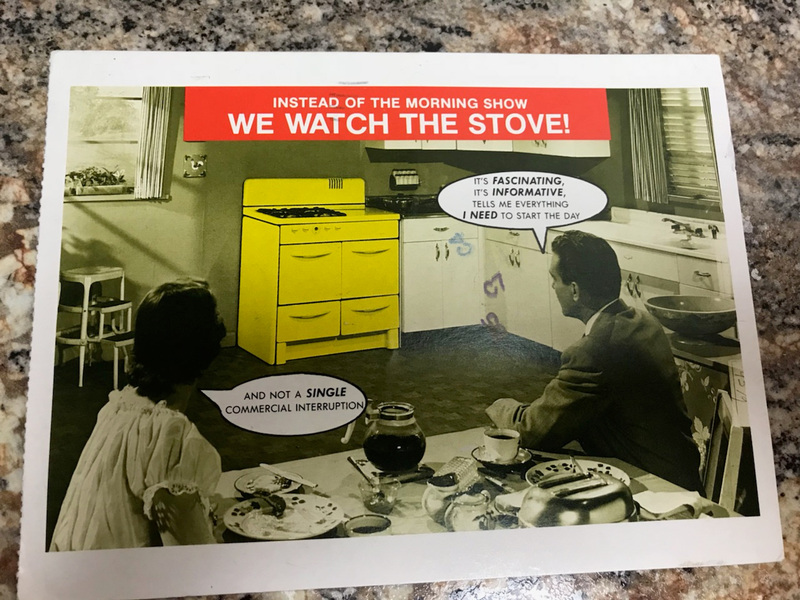 I sent a postcard to her parents’ house. And I guess I heard back from her, because here we are, approaching our 30-year-anniversary of high school graduation and we still stay in touch. 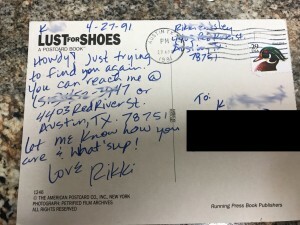 This week, reconnect with an old friend or other lost contact via snail mail. Week 14 (April 2-8): Go home. Week 15 (April 9-15): Get fancy. Week 16 (April 16-22): Be in the now. 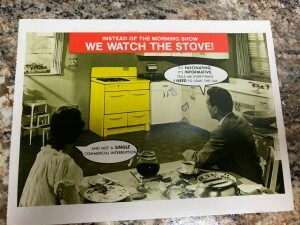 Week 17 (April 23-29): Reconnect.